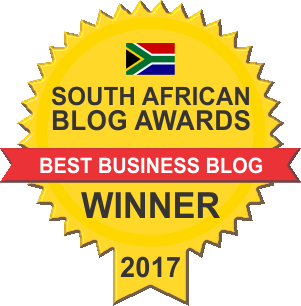 On 1 February 2018, nichemarket won the award for South Africa's Best Business Blog from the SA Blog awards. What is the SA blog awards? The competition is the official showcase and recognition platform for the very best of South African blogs. They endeavour to bring South African bloggers to the forefront of people's attention, both locally and internationally, increasing exposure to South Africa's great bloggers. What is the nichemarket blog about? nichemarket's blog aims to make digital marketing and technology accessible to all. We want to simplify the process of attracting online customers and provide a home for helpful advice along with actionable tips that everyone from the small business owner to aspiring digital marketers can use to their advantage. Our fun tone of voice, intelligent writing and helping simplify digital marketing for the average person has helped set us apart from other blogs. In the past year, our blog has gained nationwide recognition and traction with some of our content going viral to the point of being featured on national TV.